Yesterday, we had a closer look at Book 8 of my Realm series, A Touch of Emerald. This piece is on where much of the action of the story takes place. Near the railroad station in what is now Bromley (southeast of London), one finds the Chislehurst Caves, a well-developed tourist attraction for the area. These caves serve as the setting for much of the newest novel in my Realm series: A Touch of Emerald. The name “caves” is a bit misleading. The caves are really man-made chalk and flint mines. They were first mentioned in “literature”/documents circa 1250. They were last believed to have been worked in the 1830s. Three separate work areas encompass some two and twenty miles of passages. In reality, antiquarian, Dr William Nicholls, gave the caves their names in the Journal of the British Archaeological Association (1903). The caves were first opened to the public in the early years of the 1900s. “…the landlord of the Bickley Arms, in whose grounds the entrance lay, installed coloured electric ‘glow lamps’ in what later became known as the Saxon Caves and charged a small admission fee.” (Teaching Times) Nowadays, some 50,000 visitors take the tour of the caves, which are located at the bottom of Old Hill, Chislehurst. The chalk was used by the English to make plaster and water paint (whitewash). Flint may have been used to make tools. It is assumed many of the flintlock rifles used at the Battle of Waterloo used flints mined at Chislehurst. With the shape of the caves the ammunition was relatively safe. Even if one area was breached or there was an accidental explosion, the remainder of the ammunition would remain intact. Carvings from that period can still be seen on the walls. Army personnel are said to have included a carving of Nurse Edith Cavell, who the Germans executed by firing squad on the morning of 12 October 1915 in Brussels, Belgium. 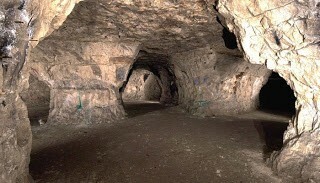 In the years between the two great wars, as well as the years following WWII, the caves were used for mushroom growing. (BBC) The TV show Merlin has also filmed within the caves. 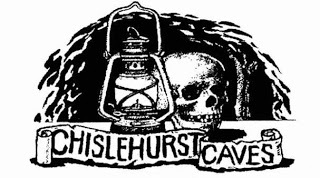 For a short history of Chislehurst Caves, check out Dr. Eric Inman’s book. 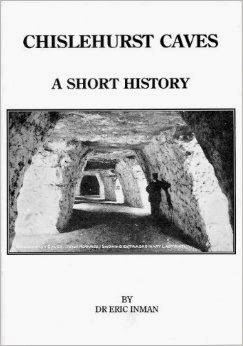 To learn more of the rumors of The Ghosts of Chislehurst Caves have a look at the book by James Wilkinson, who interviewed many of the caves’ tour g uides. (The caves play a prominent role in the conclusion to my Realm series. Part of A Touch of Emerald takes places in Chislehurst Caves. Four crazy Balochs. A Gypsy band. An Indian maiden. A cave with a maze of passages. A hero, not yet tested. And a missing emerald. For nearly two decades, the Realm thwarted the efforts of all Shaheed Mir sent their way, but now the Baloch warlord is in England, and the tribal leader means to reclaim the fist-sized emerald he believes one of the Realm stole during their rescue of a girl upon whom Mir turned his men. Mir means to take his revenge on the Realm and the Indian girl’s child, Lady Sonalí Fowler. Daniel Kerrington, Viscount Worthing, has loved Lady Sonalí since they were but children. Yet, when his father, the Earl of Linworth, objects to Sonalí’s bloodlines, Worthing thinks never to claim her. However, when danger arrives in the form of the Realm’s old enemy, Kerrington ignores all caution for the woman he loves. 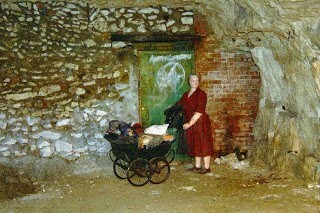 This entry was posted in architecture, British history, buildings and structures, Great Britain, real life tales, Regency era and tagged A Touch of Emerald, Bromley, chalk, Chistlehurst Caves, flint, Kent, lime, mining, Regina Jeffers, the Realm series, underground London. Bookmark the permalink.